Tottenham are battling with Chelsea, Manchester United and Arsenal to qualify for next season's Champions League, with Liverpool and Manchester City almost guaranteed to finish as the Premier League's top two. 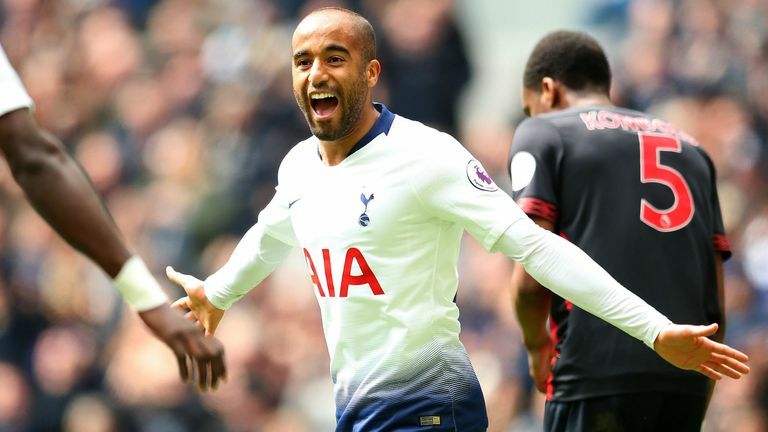 Just four points separate Tottenham in third and Arsenal - who have a game in hand - in sixth, and Pochettino believes Spurs' 4-0 thrashing of Huddersfield on Saturday could prove invaluable. He said: "Of course, to score goals in that opportunity can help in the end. Goal difference can be decisive at the end of the season to achieve the top four. "For sure it's going to be tough. We are fighting against big sides and teams that are building to win the league or to win big trophies or be in the top four. "We are going to fight against Arsenal, Chelsea and Manchester United. I think until the end it will be a very tough race."